So what happens? Terrible, inconsistent decisions are multiplying. In many cases lawful domain registrants have had their domain names in effect "stolen" through use of ICANN's UDRP process by claimants who decided not to purchase the domain legally but took a chance on getting a favorable decision from rogue panelists. And ICANN has done nothing to correct or prevent this kind of UDRP abuse. And now, with the US-IANA transition, ICANN wants to be accountable only to itself? Probably the most important takeaways for the domain name industry in the Internet trends 2014 slides by Mary Meeker, KPCB: the total number of Internet users in the world is growing less than 10 percent per year and slowing and internet users are increasingly accessing the web via mobile devices. 3. Absence of internet censorship - for some of that data see here. The above factors are why 78% of all TLD (gTLDs + ccTLDs) registrations in the world are in Europe and North America, and why there are fewer TLD domain names registered in China than the UK even though China's internet user population is 10 times that of the UK (see: Domain Name Registrations and the Global Internet Population). "The current IANA contract expires September 30, 2015. This date should be taken as the deadline for globalizing the IANA functions. The Department of Commerce has the authority to relinquish its control by simply walking away from the IANA functions contract when it expires in September 2015 and announcing as a matter of policy that the transition referenced in the 1998 White Paper to NewCo is finished. "We propose to combine the IANA Functions and the Root Zone Maintainer roles in a new nonprofit corporation, the DNS Authority (DNSA). The DNSA would be exclusively concerned with the IANA functions related to the DNS root zone and associated databases. The IANA functions related to protocol parameters would be moved to the IETF, and the IP address­related functions would be retained by ICANN until such time as new global policies regarding their disposition could be developed. "The DNSA would be run by a nonprofit consortium of all the firms operating root servers and domain name registries (i.e., all companies with top level domains in the root and root servers), just as some of the early ccTLDs were jointly owned by that country’s registrars. The owners would include generic TLD registries such as Afilias and Verisign, as well as country code TLD registries such as DENIC (Germany) and CNNIC (China). This would make governance of the DNS­related IANA functions highly diverse and globalized. A one registry, one vote structure might best ensure the neutrality of DNSA governance, but other structures (e.g., basing voting shares and financial support on the size of the registry) are worth considering as well. ICANN currently spends about US$ 7 million annually on the IANA functions; Verisign’s expenditures on the Root Zone Maintainer functions are not known but are likely to also be in the low millions. We propose an initial grant from ICANN of about $12 million to support the initial formation and early operation of the DNSA; after that the consortium would have to work out a fee structure for its members to support operations. "The DNSA would require a binding contract with ICANN regarding the conditions under which it would agree to implement changes in the root zone or other associated databases to reflect policies emerging from ICANN’s policy development processes. The contract should ensure that the DNSA has no policy authority but merely implements valid requests for additions or deletions emerging from ICANN’s policy process. DNSA would promise to abide by ICANN policy directives on the condition that ICANN’s policy decisions related to the root not be used to impose requirements on registries, via registry agreements, to regulate content or otherwise locally lawful behavior of registrants. The existence of this contract would provide the opportunity for developing an additional accountability check on ICANN. For example, if the contract was not in perpetuity but was renewable every five years, diverse entities might compete to replace the existing ICANN as the policy development authority. As for the DNSA, as a private association of incumbent registries, any attempt by it to manipulate root zone management to thwart competition or discriminate against eligible members would be easily challenged by competition law authorities in Europe, the U.S., or elsewhere. "The initial step for executing this proposal should be a Memorandum of Understanding (MoU) between multiple principals (governments, businesses, civil society organizations) and the agents (ICANN, and eventually, DNSA)...."
Who Will Control the Internet Domain Name and Number System? State of Digital Advertising Q1 2014 (comScore Presentation) above - Digital ad spending, up 17 percent year-over-year in 2013, continues to grow at a fast rate, with digital poised to play an even greater role in the future of advertising. In this presentation, comScore VP of Marketing & Insights Andrew Lipsman and comScore Sr. Director of Product Marketing & Ad Effectiveness Andrea Vollman take an in-depth look at the critical trends and issues that are shaping the digital advertising industry. Evaluate native advertising to generate incremental marketing and monetization opportunities, particularly on mobile"
Attackers trick 162,000 WordPress sites into launching DDoS attack | Ars Technica: " . . . The WordPress-enabled attacks are just one technique in a growing arsenal of powerful DDoS weapons. Other implementations include the abuse of the Internet's time-synchronization protocol and the exploitation of open domain name system servers to greatly amplify traffic. Attackers have also waged extremely powerful DDoS campaigns using botnets of WordPress servers. The growing body of attacks shows that there's no shortage of ways to inflict crippling damage on the Internet...."
By now, most people in the domain name industry are aware of the NTIA announcement and the ongoing process convened by ICANN in regard to IANA functions, as well as ICANN's own process for enhancing its own accountability. 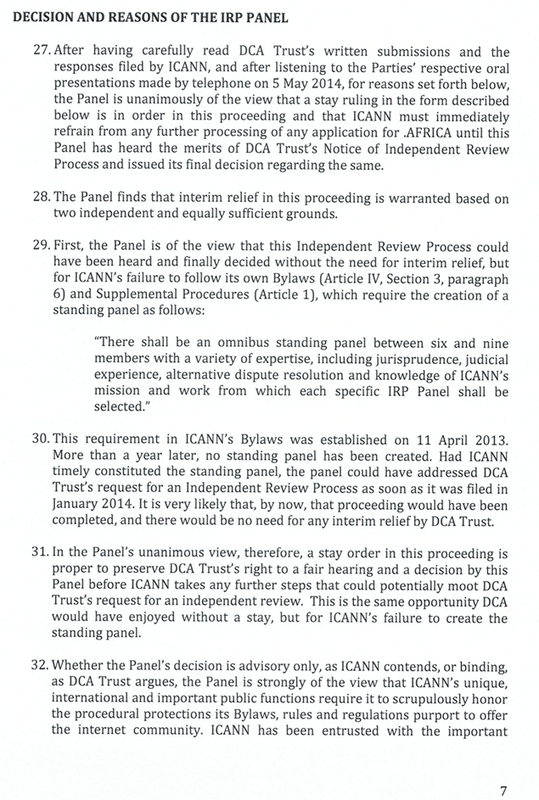 The most important document published thus far in regard to either ICANN accountability or IANA transition is a letter written by Karl Auerbach to the US Congress that covers both issues. Karl is a former member of the ICANN Board of Directors, an internet technologist who has written internet standards that have been adopted by the IETF, has been a principal in several internet start-ups, is a recipient of the Norbert Wiener Award for Social and Professional Responsibility, and has been named a fellow of law and technology at Cal Tech and Loyola Marymount. He is also a member of the California Bar and its Intellectual Property section. Those interested in either ICANN or IANA should read his entire letter (it is a "must read") which can be found here. "IANA is essentially a clerical job that usually involves no significant amount of discretion. (And in those rare cases where technical discretion is needed the various technical standards organizations, such as the Internet Engineering Task Force – the IETF – provide specific guidance and designate experts to be consulted.) There is no particular reason why ICANN and IANA are bundled into the same organization. IANA could be handled by any competent clerical provider – such as an established accounting firm. Rather than being a parent organization to IANA, ICANN could just as well be a client for IANA services. Because ICANN is essentially a body that regulates economic and business matters – and is thus subject to storms of debate from financially interested groups – it would be better for IANA to be held separate from ICANN and allowed to do its clerical job in peace and avoid being dragged into matters in which it has no interest and no role." "ICANN does vanishingly little with regard to the technical stability of the internet and, instead, uses its de facto monopoly position to do a land office business selling rights to internet territory. ICANN does not “assure the technical stability of the internet”. Rather, ICANN dispenses commercial rights and privileges. In exchange for its largess ICANN obtains monopoly rents, significantly restricts legitimate and innovative business practices, and imposes expansive trademark protection well beyond what is required by any law of any nation. ICANN is a private regulatory body that promotes its particular view of social engineering, internet business practices, trademark protection, and preservation of incumbent interests." "NTIA's role in ICANN has largely been to shield ICANN from questions, most particularly questions that would normally arise about a private body that restrains trade and innovation. One must ask whether that behavior constitutes oversight at all. Or has an absence of oversight by NTIA allowed ICANN to become a permissive playground for financially interested entities to promote private agendas?" On May 15, 2014, The Hague Institute concluded a successful three-day conference on the future of cyber governance. The conference, which was part of the Institute's Global Governance Reform Initiative, brought together renowned academics and practitioners from more than a dozen countries to discuss critical challenges in and policy recommendations for the global governance of cyberspace. Former #ICANN CEO @RodBeckstrom got an additional $665K, even though his job ended 6/30/12. On top of the $962K reported on prior Form 990. Probably #ICANN adjusted the timing of the payments to @RodBeckstrom, as reporting a combined $1.6 MILLION in one year would shock everyone. If You Look At My Site You Have Waived Your Right To Sue Me, Is That Legal? In his article, Attorney Wells notes that INTA, the International Trademark Association, is holding its Annual Meeting in Hong Kong this week. Stay tuned. "At a minimum, this proposed plan creates the appearance of a conflict of interest, if not an actual conflict of interest, for the ICANN Board. The role of ICANN’s Board is to oversee all of ICANN’s business and operational actions and to ensure its continued solvency as an organization. * As such, the Board has a vested interest in ensuring ICANN’s continued relevancy within the Internet governance ecosystem and arguably has an interest in scoping the process to preserve ICANN’s existing role. 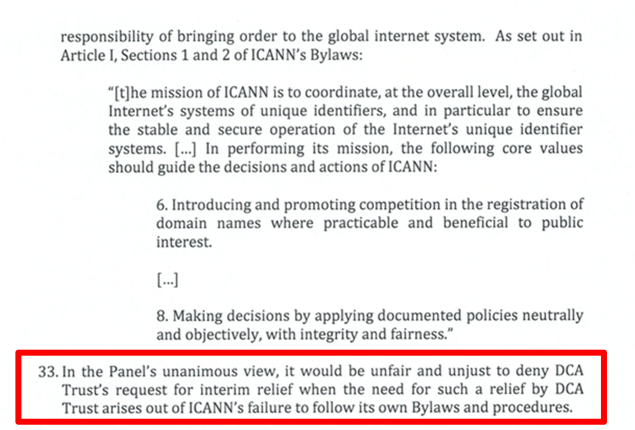 While we are confident that ICANN’s Board would not act in a way that would harm the Internet or the IANA functions transition, the presence of a conflict of interest -- even if perceived -- could impact the overall integrity of the process. We urge ICANN to reconsider this path forward. "Instead, ICANN should delegate the authority for deciding proper scope to the steering committee. As noted in the NTIA announcement, determining the parameters of the scope of the IANA transition process is a decision that should be left to the community, and the Board of Directors’ fiduciary duty to ICANN as an institution may cloud its ability to scope the process objectively. Allowing the steering group to perform this task would also free up the Board to work on other pressing matters facing the ICANN community, such as implementation of the ATRT recommendations and broader concerns over organizational accountability and transparency, which are closer to the Board’s remit....in order to ensure maximum global support for the transition plan, which will likely include both technical and policy components, it will require buy-in from both the technical and non-technical communities alike. Therefore, we would urge ICANN to consider broadening their scope to include other fora such as the global and regional Internet Governance Forum (IGF) meetings, including IGF 2014 in Istanbul, EuroDIG, and APrIGF and regional Internet-based summits like the Africa Internet Summit...."
Will the NTIA Decision Hurt VeriSign? Will the NTIA's Decision Hurt VeriSign? - Analyst Blog - NASDAQ.com: " ... VeriSign, which operates the infrastructure for the .com, .net and.gov, stated that the NTIA decision will not affect its operations in any way as its Internet functions are much different from those included in the announcement. Further, the company clarified that functions performed by VeriSign that come under the purview of the NTIA announcement have been performed as a community service spanning three decades without compensation and hence their non-renewal will not affect profitability going forward. Nevertheless, this announcement seems to be a major setback for VeriSign. It is likely to be an overhang on the registration business, which is a major contributor of revenues (contributed nearly $1.0 billion revenue in 2013)....."
Of course, there is still the unanswered question of how Verisign is going to avoid antitrust liability after the US Department of Commerce walks away from its oversight. ICANN Now Says It Wants to "Enhance ICANN Accountability"
In a blog post yesterday, Steve Crocker, Chairman of the ICANN Board of Directors, wrote: "Ever since the NTIA announced its intention to transition the stewardship of the IANA functions, the ICANN Community, our Board, and ICANN’s leadership all have been in agreement that a process on ICANN’s overall accountability is needed. This process should look at from an organizational perspective, whether and how ICANN’s broader accountability mechanisms should be strengthened to address the absence of its historical contractual relationship to the U.S. Government....I can say that the framing of this process and how it relates to the other, recently- launched process on the transition of IANA stewardship itself, are top priorities for the Board and me. As Fadi noted in Sao Paulo, the two are closely interrelated and will run in parallel. Our handling of these processes will be closely scrutinized. Enhancing ICANN’s accountability is key to the success of the IANA functions stewardship transition process. We must be accountable to the global community beyond our role as the administrator of the IANA functions....The two processes, however, will run on separate tracks. Though open to all, the accountability process will take place mainly within the ICANN community, whereas the process on the transition of the IANA functions stewardship will occur across multiple fora. ICANN’s role in the latter is also limited to that of a convener and facilitator...."
The full announcement on the accountability process can be found here. 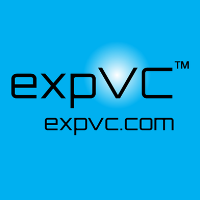 The public comment period is open and the deadline for input is 27 May 2014 (23:59 UTC). Note the complete absence of a Bottom-Up Multistakeholder Process in how ICANN actually functions. In other words, ccNSO is telling ICANN (and NTIA), stop the BS, we will not allow you to hijack the IANA transition process in your typical top-down manner, and ICANN accountability needs to be addressed by the multi-stakeholder community. Senate delays patent vote again - Scoop: Appropriations report concerned about ICANN transition - MPOLITICO Morning Tech - POLITICO.com: "The House Commerce-Justice-Science appropriations subcommittee report on its FY15 funding bill unveiled this week expresses wariness about NTIA's plan to relinquish oversight of ICANN, according to an excerpt of the report shared with MT. The language won’t be official until the full committee approves it — but it’s not a huge surprise, given the House committee is led by Republicans, who have generally been opposed to the switch. Still, it puts on the record more opposition to the proposal — and could perhaps explain why the CJS subcommittee’s FY15 funding recommendations would cut NTIA spending by about 20 percent compared to this fiscal year. “In order for this issue to be more fully considered by the Congress, the recommendation for NTIA does not include any funds to carry out a transition of these functions,” the report states. The full report is likely to be made public when the full appropriations committee approves it later this year." Matt Cutts - Google+ - I read a post by someone offering new top-level domain…: ""Will a new TLD web address automatically be favoured by Google over a .com equivalent?..." "Matt Cutts: Sorry, but that's just not true, and as an engineer in the search quality team at Google, I feel the need to debunk this misconception. Google has a lot of experience in returning relevant web pages, regardless of the top-level domain (TLD). Google will attempt to rank new TLDs appropriately, but I don't expect a new TLD to get any kind of initial preference over .com, and I wouldn't bet on that happening in the long-term either. If you want to register an entirely new TLD for other reasons, that's your choice, but you shouldn't register a TLD in the mistaken belief that you'll get some sort of boost in search engine rankings.﻿"
Highlights: Milton Mueller @30:00; Structural Separation of IANA from ICANN @56:45; BUT the real action starts @01:17:00 when Attorney Philip Sbarbaro asks NTIA if Congressional approval is needed and how Verisign can avoid antitrust liability once the US Department of Commerce walks away from its oversight role.